An important traditional form of agriculture is the use of intercropping strategies, sometimes called mixed cropping or milpa agriculture, where different crops are planted together, rather than in big monoculture fields as farmers do today. The Three Sisters (maize, beans, and squash) is what Native American farmers called a classic form of mixed cropping, and archaeological evidence has shown that these three American domesticates have been grown together for perhaps 5,000 years. Growing maize (a tall grass), beans (a nitrogen-fixing legume) and squash (a low-lying creeper plant) together was a stroke of environmental genius, the benefits of which practice have been studied by crop scientists for decades. The "three sisters" are maize (Zea mays), beans (Phaseolus vulgaris L.) and squash (Cucurbita spp.). According to historical records, the farmer dug a hole in the ground and placed one seed of each species into the hole. The maize grows first, providing a stalk for the beans, which reach upward for access to the sun. The squash plant grows low to the ground, shaded by the beans and corn, and keeping the weeds from affecting the other two plants. Today, intercropping, in general, is recommended as an alternative system for small-scale farmers to improve their yield, and thus food production and income in limited spaces. Inter-cropping is also insurance: if one of the crops fail, the others might not, and the farmer is more likely to get at least one of the crops to produce in a given year, no matter how extreme the weather circumstances. The microclimate produced by the three sisters combination favors the survival of the plants. Maize is notorious for sucking the nitrogen out of the soil; beans, on the other hand, supply replacement mineral nitrogen back into the soil: essentially, these are the effects of crop rotation without actually having to rotate crops. Overall, say crop scientists, more protein, and energy are produced by intercropping three crops in the same space than that achieved by modern monocultural agriculture. Maize maximizes photosynthesis and grows straight and tall. Beans use the stalks for structural support and to gain greater access to sunlight; at the same time, they bring atmospheric nitrogen into the system, making the nitrogen available to maize. Squash performs best in shady, humid places, and that is the type of microclimate provided by the corn and beans together. Further, squash decreases the amount of erosion that plagues monocultural cropping of corn. Experiments conducted in 2006 (reported in Cardosa et al.) suggest that both nodule number and dry weight of beans increases when intercropped with maize. Nutritionally, the three sisters provide a wealth of healthy foodstuff. Maize provides carbohydrates and some amino acids; beans provide the rest of required amino acids, as well as dietary fiber, vitamins B2 and B6, zinc, iron, manganese, iodine, potassium, and phosphorus, and squash provides Vitamin A. Together, they make a great succotash. It's difficult to say when the three plants began to be grown together: even if a particular society had access to all three plants, we can't know for sure that they were planted in the same fields without direct evidence from those fields. That's pretty rare, so let's look instead at the domestication histories, which are based on where and when the domesticated plants turn up in archaeological sites. The Three Sisters have different domestication histories. Beans were domesticated in South America first, about 10,000 years ago; squash followed in Central America about the same time; and maize in Central America about a thousand years later. But the first appearance of domesticated beans in Central America was not until about 7,000 years ago. Agricultural use of the co-occurrence of the three sisters seems to have spread throughout Mesoamerica by about 3,500 years ago. Maize was the last of the three to reach the Andes, between about 1800 and 700 BC. Intercropping with the Three Sisters has not been identified in the American northeast, where the European colonists first reported it, until AD 1300: maize and squash were available, but no beans have been identified in a North American context any earlier than 1300 AD. By the 15th century, however, the intercropped triple threat had replaced the original domestic maygrass-chenopod-knotweed agricultural crops planted throughout northeastern and midwestern North America since the Archaic period. There are accounts from various Native American historical sources as well as reports of early European explorers and colonists on maize-based agriculture. 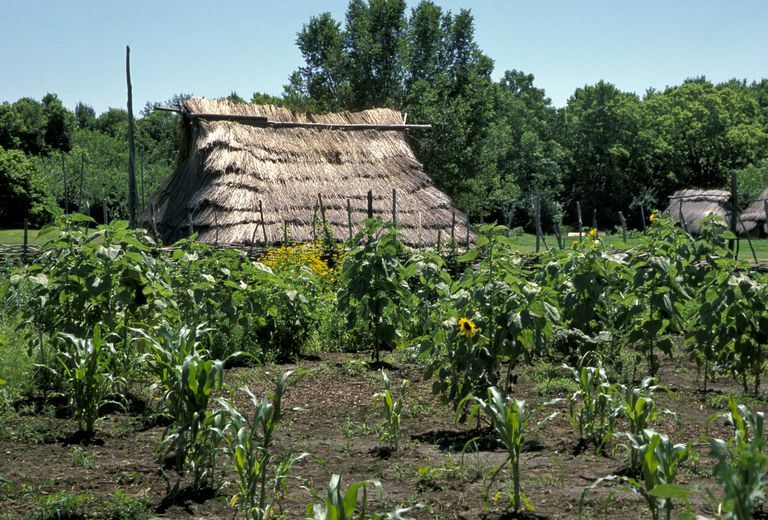 In general, Native American farming in the northeast and midwest was gender-based, with men creating new fields, burning grass and weeds and trenching the fields for planting. Women prepared fields, planted the crop, weeded and harvested the crop. Harvest estimates range between 500/1000 kilograms per hectare, providing between 25-50% of a family's caloric needs. In Mississippian communities, harvests from fields were stored in community granaries for use by elites; in other communities, the harvest was for family or clan-based purposes. Cardoso EJBN, Nogueira MA, and Ferraz SMG. 2007. Biological N2 fixation and mineral N in common bean–maize intercropping or sole cropping in southeastern Brazil. Experimental Agriculture 43(03):319-330. Declerck FAJ, Fanzo J, Palm C, and Remans R. 2011. 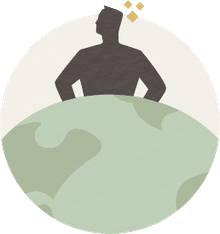 Ecological approaches to human nutrition. Food & Nutrition Bulletin 32(Supplement 1):41S-50S. Hart JP. 2008. Evolving the Three Sisters: The changing histories of maize, bean, and squash in New York and the greater northeast. In: Hart JP, editor. Current Northeast Paleoethnobotany II. Albany, New York: The University of the State of New York. p 87-99. Hart JP, Asch DL, Scarry CM, and Crawford GW. 2002. The age of the common bean (Phaseolus vulgaris L.) in the northern Eastern Woodlands of North America. Antiquity 76(292):377-385. Landon AJ. 2008. The "How" of the Three Sisters: The origins of agriculture in Mesoamerica and the human niche. Nebraska Anthropologist 40:110-124. Lewandowski S. 1987. Diohe'ko Agriculture and Human Values 4(2):76-93., the Three Sisters in Seneca life: Implications for a native agriculture in the finger lakes region of New York State. Martin SWJ. 2008. Languages Past and Present: Archaeological Approaches to the Appearance of Northern Iroquoian Speakers in the Lower Great Lakes Region of North America. American Antiquity 73(3):441-463. Scarry CM. 2008. Crop Husbandry Practices in North America’s Eastern Woodlands. In: Reitz EJ, Scudder SJ, and Scarry CM, editors. Case Studies in Environmental Archaeology: Springer New York. p 391-404.